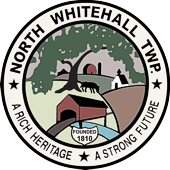 North Whitehall Township receives police services via the Pennsylvania State Police. Our area is served by Troop M located at the Bethlehem Barracks. Townships officials are in contact with them and work closely to ensure our community is kept safe. North Whitehall Township is served by four, local volunteer fire companies and one ambulance company. These groups receive financial assistance from the Township but also rely heavily of state grant support and from the generous donations of the residents. These men and women are involved in training and maintenance of their equipment as well as responding to all types of emergencies through your community. In addition they are involved in active fundraising for their departments. Anyone interested in volunteering their time as an active member or simply want to help out should contact the departments directly. They are always looking for new members. Please check out the links to each department. is the primary 911 emergency medical services provider for North Whitehall Township. 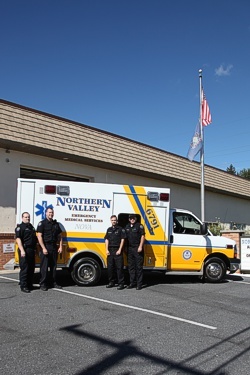 Please visit their website at www.northernvalleyems.com for information regarding the ambulance corps, subscription and donation information, and additional services available.